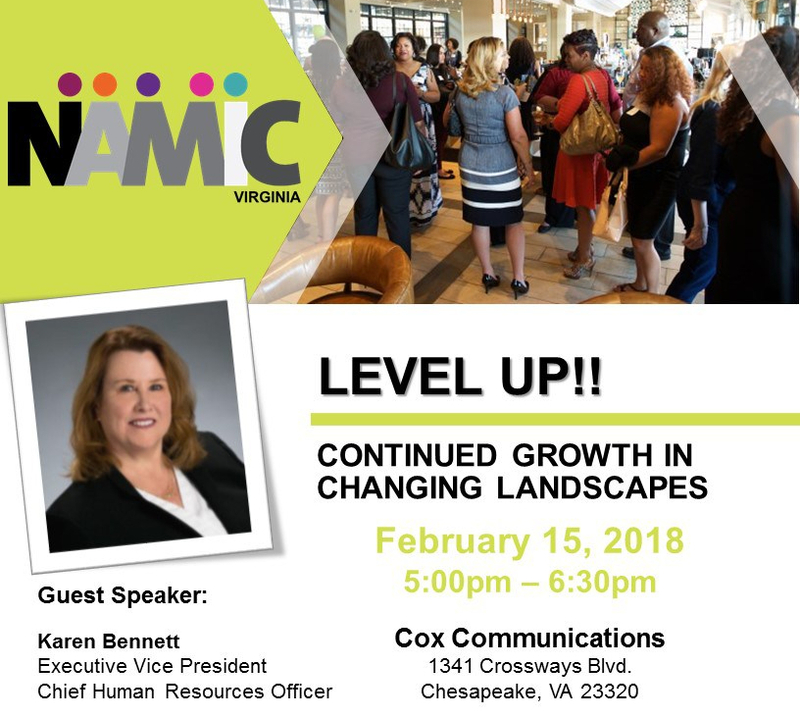 NAMIC Virginia Presents: LEVEL UP!! Join us for an exclusive and intimate event where you will hear about taking your career to the next level from EVP & Chief HR Officer, Karen Bennett of Cox Communications. Karen will walk you through navigating the challenges of driving continual growth in our rapidly evolving industry! Next Post Sit Down with Joiava (“Joi”) Philpott, NAMIC National Board Member and VP of Regulatory Affairs at Cox Communications!